Every year I teach a section of the history department’s capstone course on historiography. The most basic questions in the course are: What is the nature of historical knowledge? Is objectivity possible? Is it necessarily desirable? How does historical thinking work? 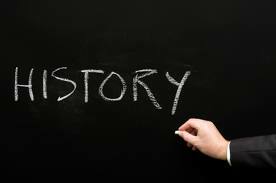 What is the purpose of historical study? To understand the world? To contribute to changing aspects of the world? Most of the students are seniors. 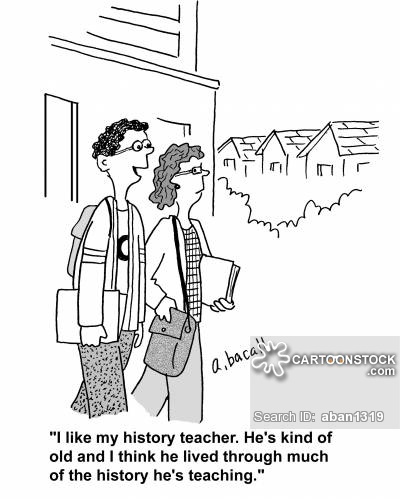 Some are bound for grad school; others hope to teach elementary, middle, or high school history. Some have firm plans for medical school, law school, seminary, or a career in government or business. Some have no idea what’s next. My favorite assignment is a take-home essay that is part of the final exam. The students reflect on their worldview, particularly the religious elements of it, and how it shapes the way they study and think about the past—and how studying history has shaped the way they view their lives and the world. They also talk about what they consider the most interesting or important issues that we studied over the semester. Reading the students’ take-home essays gives me an insight not just into how they think, but also into how they feel and what they believe. Some express existential doubts about matters of faith, why they have been studying history, or what they’re going to do after they graduate. Many talk about how disorienting they have found the material in the course—which was part of the point!—and how they’ve only begun to put the pieces back together in a new way by the end of the semester. What students tell me shows how much this course and their time at Calvin has shaped them. In turn, reading what they say has powerfully influence my sense of who I am as a historian and a teacher, and a mentor to some of the students. A student hoping to become a teacher emphasized how much more self-conscious he had become about what he would teach his future students, and how. The past does not tell its own story, he explained, the historian does. Truths about the past that seem obvious become confusing or seem strange when we tell the story from a different narrative point of view, or start and end the story in different places. The power that a teacher can have over students just beginning to learn about the past struck him in a new way, leading him to advocate the importance of diverse perspectives in the classroom for his future students. Studying these issues from the viewpoint of the historian’s vocation also bled into other areas of students’ lives. One said that she found the diverse interpretations of the past beautiful. “The past is not just the past. There are so many stories and so many characters and so many lessons.” She celebrated the power of stories and the “endless possibilities for creativity” in the work of the historian. She also “grieved” that the past can as a result be “manipulated, whether goodheartedly to tell a fine story or deceitfully to indoctrinate.” How can we find assurance, whether in our knowledge about the past or in matters of faith? My favorite observation from this past year’s essays helps to answer this last question. It came from a student who said that our class had become an important community for her. She also explained how valuable is was for her to discuss the role of communities in making possible the work that historians do, whether in classrooms, scholarly conferences and peer review, or in public history settings such as museums, national memorials, and parks. When her own understanding failed her, she appreciated what she learned from other people in the classroom. She found comfort in the generations of modern historians who came before us and wrestled with the same kind of disorienting questions that sometimes bedeviled us. Her experience of community in our classroom had renewed her desire to transfer some of what she’d learned to others in the future. Christians often emphasize how important it is for them to be part of a community of faith when their own faith falters. At their best, classrooms do much the same. When we wonder why we spend huge sums of money and many, many hours, days, and years studying a subject like history, and wonder what its purpose is, communities of learning help us to keep the faith. Historical knowledge matters. And the work my students have done together has the power to shape their careers and lives, whatever kind of work they end up doing after graduating. This post is part of a series on Critical History and Sacred Tradition. This entry was posted in Will Katerberg and tagged capstone course, community, Critical History and Sacred Tradition series, historiography, history, History 395, learning, students. Bookmark the permalink.